Description: This Easy Macrame Bracelet is perfect for children who are just learning this craft. Its also a good project for beginners, and for small groups. 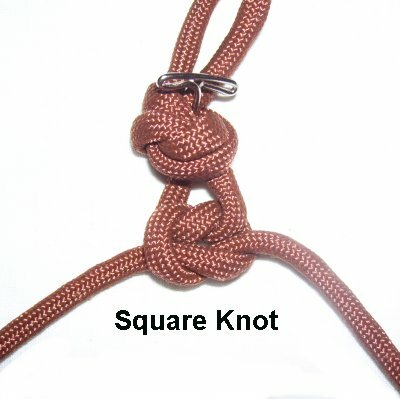 The Square Knot is the primary decorative knot used in Macrame. The ones tied in this project are unique. Most Square knots are tied around filler cords. But this bracelet design does not have fillers, which makes it even easier to create. 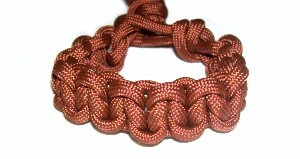 Any type of cord material can be used to make this attractive bracelet. 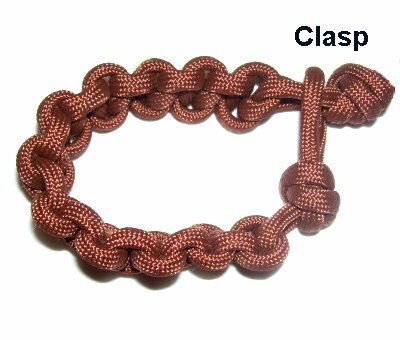 I used Nylon Paracord in the bracelet shown because it's smooth and comfortable. 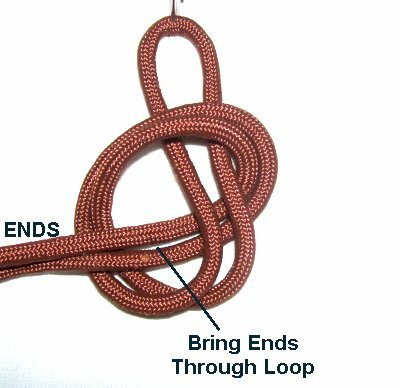 Since this is a childrens project, be sure to have them practice the 2 knots used in this pattern, before they get started. Step 1: Cut 1 cord, 60 inches long. Apply tape or glue to the ends to prevent unraveling. When using Paracord, an Adult should apply heat to the tips to melt the fibers and prevent the core from being pulled out. Do this in the last step as well. Fold the cord in half and secure it at the center. 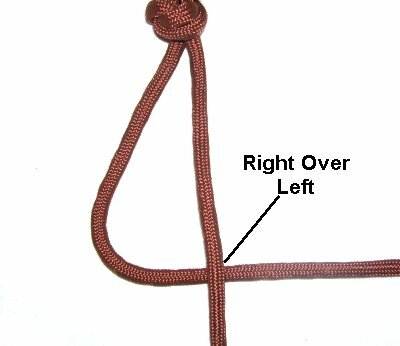 To start the Overhand Knot, use both ends to make a clockwise loop. Step 2: Bring the ends through the loop from below (right to left). Step 3: Tighten the knot slowly. 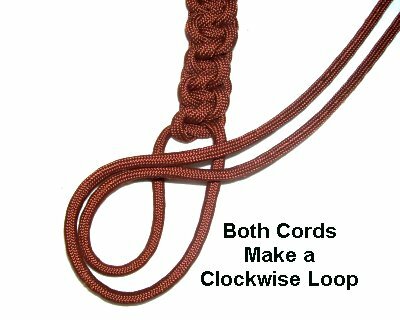 Leave a 1/2-inch loop at the top. Secure the knot to your board or work surface. The two ends will now be used to make Square knots. There are no fillers, which makes these knots a bit unusual. Step 4: Curve the left end towards the right, so it's sideways (horizontal). Bring the right end over the left, straight down. Bring the right end under the left, and then over it further up, as you pull it to the left. 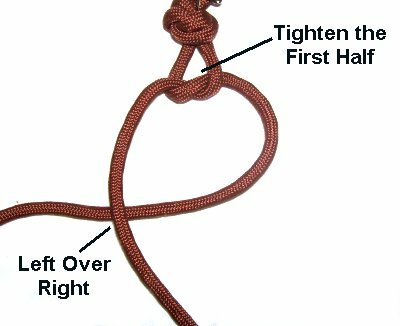 Tighten the first half of the Square Knot by pulling on the ends. 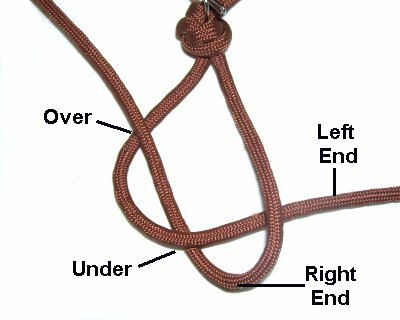 It should rest just below the Overhand knot. Curve the end now on the right, so it's sideways. Then pass the left end over the right. Move the left end under - over the right cord, as you pull it right. It's the same as the first half, only the opposite direction (left to right). Tighten the second half by pulling gently on both ends. 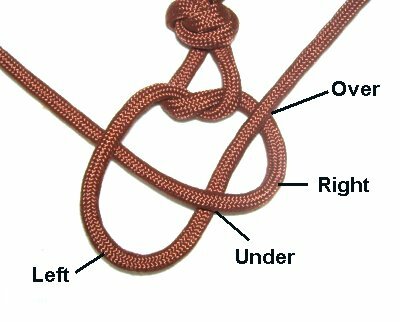 The four steps above = one Square Knot. Repeat step 4 several times, until the Easy Macrame bracelet measures 5 to 8 inches long, or is the size you want. 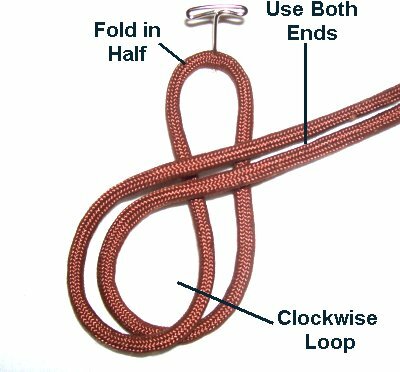 Step 5: To make the clasp for your Easy Macrame Bracelet, use both cords to make a clockwise loop for the Overhand knot. Step 6: Pass the ends through the loop from below. 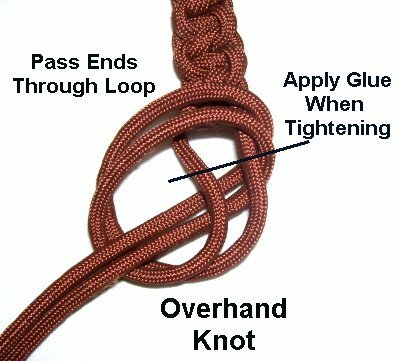 Before you tighten the Overhand knot, apply glue, so it's inside the knot. Add more glue to the outside. When it's dry, cut off the excess material. 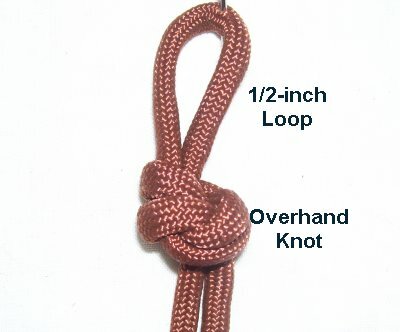 The Overhand Knot fits through the loop at the other end of the Easy Macrame Bracelet. Have any comments about the Easy Macrame Bracelet? Contact Me.